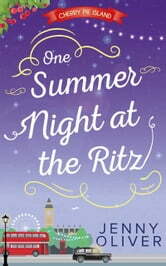 'You know you're in for a treat when you open a Jenny Oliver book' Debbie Johnson One Summer Night at the Ritz is the enchanting fourth story in Jenny Oliver’s delicious Cherry Pie Island series. For Jane Williams, balmy August evenings are usually spent swimming in the river or lounging on her house boat on Cherry Pie Island. But, this summer, a set of tragic wartime diaries has changed all that. Now, Jane’s heading for an appointment with Will Blackwell, one of the world’s most infamous hoteliers, in the heart of London’s West End. 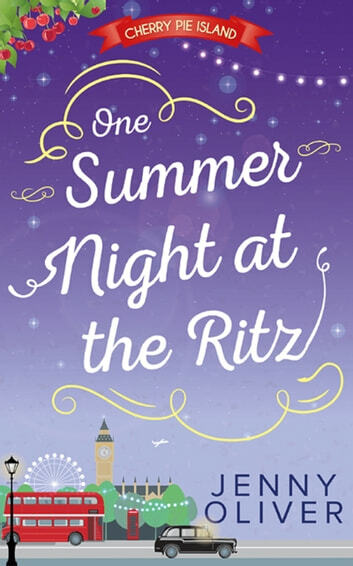 And, standing under the spectacular twinkling lights of The Ritz, it’s safe to say she’s feeling a tiny bit out of her depth… But Jane’s about to discover that, sometimes, the bravest steps can lead to the most magical summer nights! The Cherry Pie Island series The Grand Reopening of Dandelion Café – Book 1The Vintage Ice Cream Van Road Trip – Book 2The Great Allotment Challenge – Book 3One Summer Night at the Ritz – Book 4 The Grand Reopening of Dandelion Café is Book 1 in The Cherry Pie Island series. Each part of Cherry Pie Island can be read and enjoyed as a standalone story – or as part of the utterly delightful series. I've enjoyed all the books in the Cherry Pie Island series, but this is my favourite one of them all. Really enjoyed this book. It brings the previous books together and you really warm to the characters.